Tango Shows in Buenos Aires | ba-walking-tours | buenos aires walking tours | Buenos Aires Tango... in English: The Best way to see BA! Night-out Tango Tour options: 'Mild' or 'Wild'? •et; Price: US$148 p/p (Mild - for one or more ppl.) — US$100 p/p (Wild - 2 people minimum or ask). All tax included. 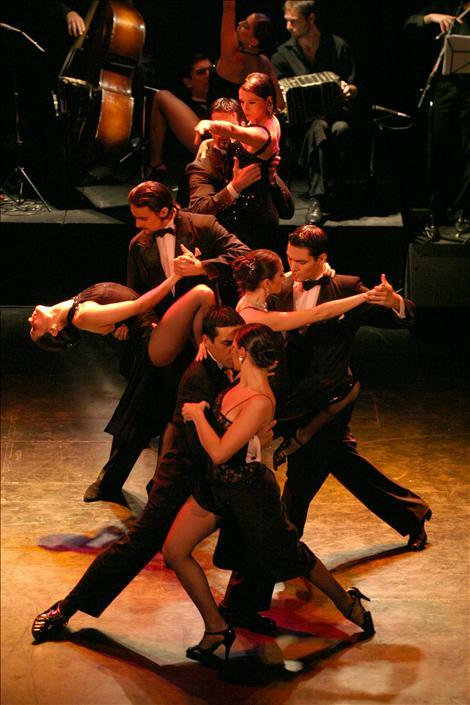 The 'Mild' one is suitable for the savvy tourist wanting to see a superior Tango show, with lots of live Tango dancers, orchestras and singers, while enjoying a great dinner (a la carte--you choose, and drinks are included too). You can just watch the show, or opt to dance/learn the basics of tango!. Cost is US$148 p/p and everything is included. It is available every day 7pm, and no minimum amount of people is needed--you can go alone and it will still be fun. The 'Wild' one is for the adventurous tourist, for we will go dancing with the locals (the real thing: not just a show). We call it Wild because it is not 'watered-down for export' and there will be crowds of nice local people dancing there. Cost for the guiding is US$100 p/p and everything else is not included (transportation, shows, lessons, drinks, 'light' dinner, etc). Available Wednesdays to Saturdays 8:30pm. A minimum of 2 people is needed. This is an approximately 5 hr long evening Tour. We choose for you a tango dance hall and take you there. There's many to choose from and hundreds of people will get together there to enjoy a great show, food, drinks and -if you feel like it- dance, learn to dance, or just watch. At the *real* tango places where we'll take you, the lessons for beginners are included (if you are so inclined) and they are truly fun for all ages, and not difficult at all. You can take lessons whether you have a dancing partner or not (if you have one, then he or she can give it a try... or just look!). In all cases teachers will teach, show and coach, and you will dance with other people at your level of skill. You can move between levels as you feel comfortable or just watch the really good ones and learn. Our Tango Night out comes in two flavours: the Mild and the Wild tango night-out. The Mild one is the most advisable for beginners. Chances are you go 'wild' about Tango, and then you can ask us to take you to the Wild Tango Night-out, where you will be sharing the dance with 600 wild local tango dancers till the wee hours of the morning. Until you make this decision we suggest you start with the unforgettable Mild Tango Night Out: The perfect mix of dinner-show and local experience (you can dance with the locals: beginner lessons are included). In 1918, lyric writing for the tango become the latest trend, bringing forth the birth of a star who is still celebrated five decades after his death--singer Carlos Gardel. The memory of this handsome, charismatic performer has reached hero worship status in Argentina, not unlike what Elvis Presley inspires in the USA. In 1930, a sudden military coup in Argentina ended the citizens' right to vote, and thus largely silenced the voice of the people, the tango. During this time, a very pessimistic philosopher/singer of the tango emerged, Enrique Santos Discepolo. He is famous for the line, "The 20th Century is a trash heap. No one can deny it.."
Tango revived in the late 1930's when the Argentinean masses regained a good measure of their political freedom. 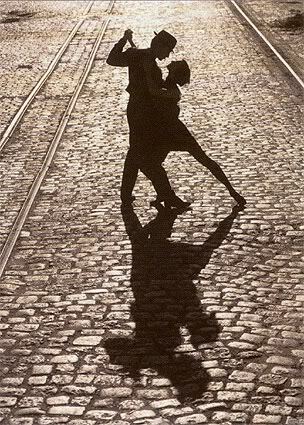 They celebrated their social rise with the tango, which became a symbol of their physical solidarity and part of their daily life. Again, tango musicians emerged who took the form in new directions including Fresedo, de Caro, Pugliese, and Anibal Troilo. When Juan Peron rose to power in 1946 the tango again reached the pinnacle of popularity in Argentina, as both he and his wife Evita embraced it wholeheartedly. Yet, with Evita's death in 1952, the tango again fell from the mainstream spotlight. American rock-and-roll invaded the popular scene, and the tango again seemed out of step with its times. Today the tango is enjoying a renaissance of popularity, keeping the fire of this daring art form burning brightly.